Monday Night Raw ended in a shocking way this week with Ronda Rousey returning to reclaim her Raw Women’s Championship, making a major statement to the WWE Universe before attacking Becky Lynch. The former UFC star unloaded on Lynch, rag-dolling her around the ring, locking in her armbar finisher several times and the attack continued even after Monday Night Raw went off the air, with the champion making a clear statement on the Road To WrestleMania. Ronda’s appearance stopped Stephanie McMahon from creating a Raw Women’s Championship match at Fastlane. Instead, Stephanie added the stipulation that if Becky Lynch defeats Charlotte Flair, 'The Man' will be added to the WrestleMania title match. 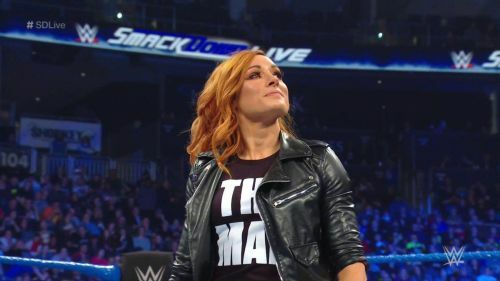 Whilst Rousey’s attack might have simply been retribution for Becky Lynch’s actions in recent weeks both in the ring and on social media, the fan response made it clear that WWE was looking for something else from the angle. So, with that in mind, what were the real reasons that Ronda Rousey attacked Becky Lynch? The simple reason that WWE had Ronda Rousey attack Lynch is to further the storyline between the three ladies. WWE never wanted to take the title off Rousey, despite what Stephanie McMahon was implying on TV this week, and the number one contender idea was always the plan. Therefore having Rousey return to reclaim her title allowed Stephanie to set up that stipulation. On top of that, after Lynch has got the best of Ronda on social media last week, she promised to give Becky a beating, regardless of the storylines, and she delivered on that. WWE can’t have the champion be the one on the receiving end of a beatdown every week because it makes her look weak and that is the last thing WWE wants for Rousey, so establishing her as dominant and strong once again just intensifies things once more. Whilst the attack made Ronda Rousey look strong, it also helped to weaken The Man, which is again what WWE was intending. In no way did the segment squash Lynch, all it did was help the fans rally behind her even more. Just as WWE did with Daniel Bryan before WrestleMania 30, WWE is going to put plenty of roadblocks in Lynch’s way to stop her from becoming champion as it makes people invest in her character even more. Considering she already has a bad knee, Lynch receiving a beatdown from Ronda Rousey simply makes things even tougher for her when she goes one on one with Charlotte Flair this weekend. Ultimately, WWE knew exactly what it was doing in booking this segment, knowing full well how popular Becky Lynch is right now. Anyone attacking her either verbally or physically is going to feel the wrath of the WWE Universe and that is exactly what happened. Rousey was booed out of the building with the fans fully turning against her in what appeared to be a fully fledged heel turn from the former MMA star, which would see her work as a heel for the first time since she joined the company. Ever since SummerSlam reactions for Rousey have started to change with a growing, vocal portion of the WWE Universe simply turning against for some reason. Even though Rousey has worked incredibly hard and appeared very regularly, she started to be hated by the fanbase. Instead of fighting against it as WWE has done with Roman Reigns and John Cena for so many years, it seems that WWE is just going to fully embrace the hate and have her work as a heel for the WrestleMania match. This makes sense because it ensures that the full support of the WWE Universe will be behind Becky Lynch for the inevitable WrestleMania triple threat, with the fans going against Charlotte Flair and Rousey. in the long-term booking. Plus, we don’t know how long Rousey is actually going to be around for in WWE and therefore getting some miles out of her as a heel is a good choice as there are different stories that can be told from her. WWE has had great success with Shayna Baszler as a heel in NXT, and the company will likely look to do the same thing with Ronda on the main roster. Plus, if WWE wants to book the major Four Horsewomen match down the line, having the four former MMA stars as the heels and the former NXT wrestlers as the babyfaces is the right way to go, and this is the start of that process. What do you make of Ronda Rousey’s actions? Let us know in the comment section below.